Home > US Sports > NBA > The NBA Draft: Is It Rigged? Once again, another draft lottery has come and gone, and once again, the Cleveland Cavaliers have emerged with the number one overall pick in the draft. This is the second year in a row the Cavs will be picking first, and the third time in four years. Going into the lottery, the Milwaukee Bucks had the best chance of any team to have the ping pong balls go their way with 25% odds of winning. Following the Bucks was the Philadelphia 76ers, who had a 19.9% chance of winning. 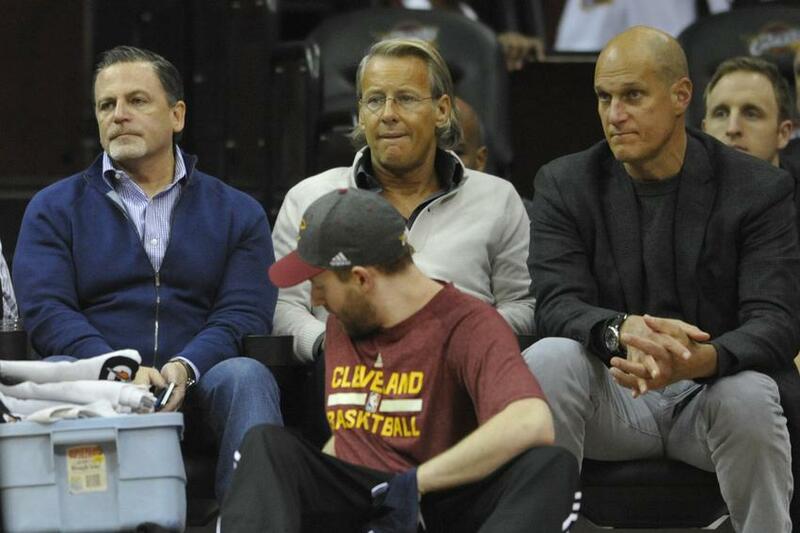 However, after it was all said and done, the Cleveland Cavaliers owned the rights to the number one pick. The Cavaliers had just a 1.7% chance of winning, per probasketballtalk.nbcsports.com. How is it possible that the Cavaliers have won again? According to @MySportsLegion, in 2011, when the Cavaliers won the first overall pick, they had just a 2.8% chance of winning. In 2013, they had much better odds, with a 15.6% chance of winning. Finally, as you now know, this year they had just a 1.7% chance. The likelihood of the Cavaliers getting the number one pick in all 3 of these drafts comes out to an improbable .007642% chance. This begs the question- Is the NBA fixed? The answer is quite obvious: it must to be rigged. Teams don’t just win the lottery 3 out of 4 years by chance. This has to be the work of David Stern, right? At first glance, the average conspiracy theorist would probably say that there is some foul play going on in the NBA. However, one shouldn’t jump to conclusions. If the NBA Draft is fixed, why would the Cleveland Cavaliers of all teams receive the first overall pick? The Cavaliers are a relatively small market team. It is fair to say that the team’s fan base doesn’t exactly pass state lines. On top of that, the Milwaukee Bucks, who finished last in attendance this past season, per Espn.go.com, would not have landed the 2nd overall pick. The NBA, like all professional leagues, cares about one thing above all others: money. If the NBA truly fixed the draft, wouldn’t it make sense that the pick would go to big market teams such as the Lakers or Celtics? These two teams underperformed immensely this past season, and at times the Lakers’ play could have been confused for a solid D-League team. A chance for one of these two teams to grab a potential perennial all-star such as Andrew Wiggins or Jabari Parker would surely make them relevant again. This would draw in fans from around the country, make these storied franchises immediately relevant again, and in turn bring in more money to the NBA. However, on draft lottery night, the Lakers, who were projected to have the number 6 pick, actually dropped down to 7. The Celtics were projected to land the 5th spot and that’s exactly what they got. If the lottery was fixed, wouldn’t it make sense that one of these two teams would have moved up at least one spot higher than they were projected? Instead, the Lakers fell, and the Celtics stayed put. Some people have put the argument out there that the league has given the Cavaliers the number one pick 3 out of the last 4 years simply because the NBA feels bad that Lebron James left the city of Cleveland in turmoil. This is by no means a valid argument. The NBA does not feel sorry for teams. David Stern would not jeopardize his credibility with the entire league simply to help get the Cavs back on their feet. These kinds of things just don’t happen in professional sports. Good free agents leave the teams who drafted them all the time. The NBA can be cruel at times, but that is just the nature of the beast. Anyone who believes otherwise needs to realize that neither David Stern nor Adam Silver feels enough sympathy towards the Cavaliers that they would actually rig the lottery. That’s not how the NBA works. Another factor that points to the lottery not being fixed is quite simple really. If the NBA really is fixing the draft, don’t you think they would be a little more discrete than giving the top pick to the same team 3 out of 4 years? They would certainly be more careful, and without a doubt they would try to be a little less obvious. Come on people, if David Stern is really deciding who gets the first pick, why would he be so blunt? He wouldn’t. If Stern is deciding the order of the draft, he would be much more careful, and without a doubt more subtle. It is preposterous to think that the league would be so careless. When someone sees the results of the past four NBA draft lotteries, who could blame them if their knee jerk reaction is that the lottery is fixed. The NBA does not fix the draft lottery.